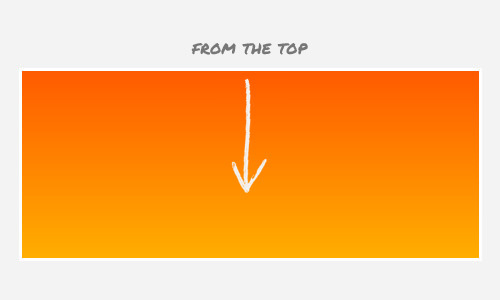 Gradient is a great color feature addition in CSS3. Rather than only add a single color, we can now add multiple color combinations in one declaration block without relying on images, which could decrease the HTTP request in our website allowing the website load faster. 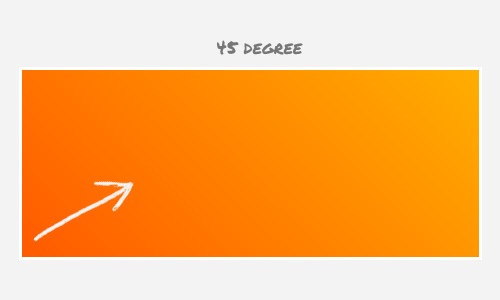 If you have played around with gradients in CSS3 you are probably familiar with the two methods: radial and linear gradient. Today’s post will be about the latter. As the spec says gradients in CSS3 is an image, it has no special property like other new feature addition, so it is declared using the background-image property instead. If we take a look at the complete syntax for gradient, it looks a little overstuffed, which could lead to confusion for some people. So let’s dig into each part of the syntax one by one to make things clearer. The snippet above is the official version from W3C to create gradients. It’s actually simpler and quite self-explanatory and it will also create the following gradient. You can also use bottom to do the opposite, or else right and left. The second value of the function will tell the first color information and its stop position which is stated in percentage. The stop position actually is optional; the browser is clever enough to determine the proper position, so when we don’t specify the first color’s stop the browser will take 0% as the default. Creating transparency in gradient is also possible. To create the effect we need to translate the color hex into rgba mode and lower the alpha channel. 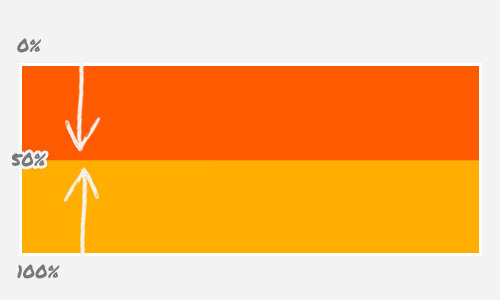 Should you want more colors to be added, just add the colors next to another with a comma delimiter and let the browser determine each color stop position. The snippet above will create the following rainbow. Here is a tool to help you convert rgba to #ARGB. As you can see above, in order to maintain the gradient compatibility across browsers, we need to add five more lines of codes which is inefficient. There are many ways we can do to simplify the task; such as using the Prefix-free, Prefixr, LESS or Sass to help compile the codes, but above all, we recommend using this tool, ColorZilla Gradient. This tool will simply generate all the necessary codes for the gradients to work in all browsers. Today we have discussed quite a lot on creating gradients, we have looked into each part of the syntax, creating transparent effects and maintaining browser compatibility. So, at this point, we hope that you already have a better understanding on the subject. There are still many things we plan to explore on CSS3 Gradients in our future posts, so stay tune to Hongkiat.com. Lastly, thank you for reading this post, we hope you enjoyed it.